A brand new installment in Ubisoft’s franchise tries to make it onto the top of the dancing games market! The game-play in the newest Just Dance revolves around an inclusion of greatly recognized pop culture icons… What’s worth mentioning is the inspiring presence of the one-of-a-kind Ghost-busters theme song! This will be a thunder in action! “The latest opus of the Just Dance franchise will make you dance even more and will be once again the ultimate casual rendezvous of the year. 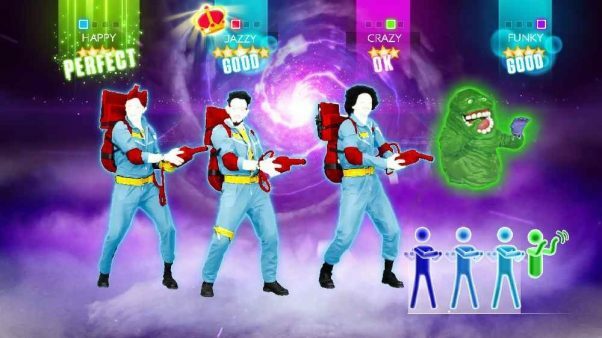 This new opus will be even more social as you will be able to connect and dance with players from all over the world and share a unique dancing experience with them,” claims an extract from Just Dance’s description. Ubisoft boasts that Just Dance managed to finally overtake Guitar Hero franchise! What’s more, game will continue to develop to the point of becoming the greatest party game ever! Is Just Dance another marketing trick? We’ll certainly get to find out in the near future… Happy dancing for now!